Bottled Patina Solution for Copper Sheets- Blue- 32 oz. Home > Bottled Patinas > Bottled Patina Solution- Powder Blue- 32 oz. 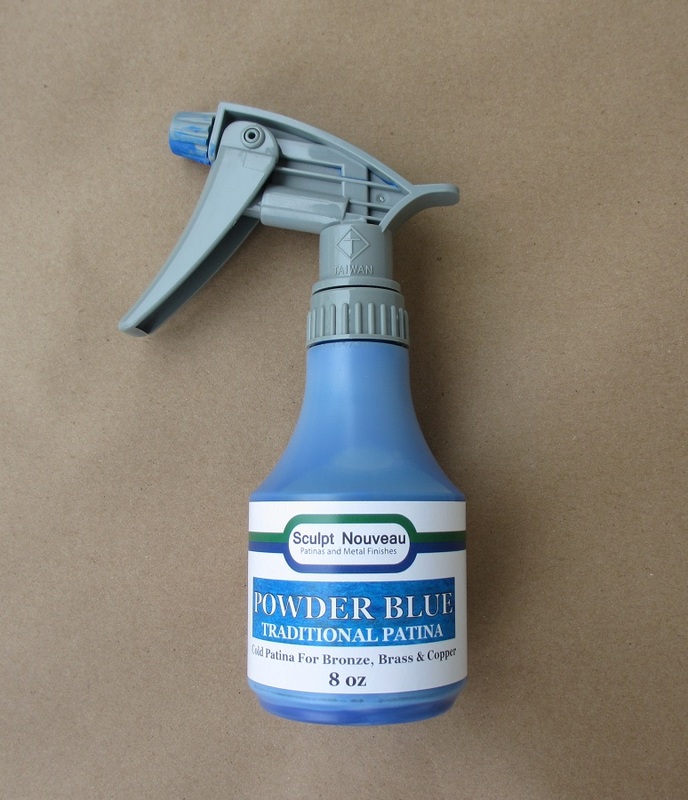 Bottled Patina Solution- Powder Blue- 32 oz. This solution will produce a beautiful blue that can vary in color from a light powder blue to darker robin's egg blue. Do not apply the product too heavily or it will become very flaky. It seems to work best to spray on, sponge or brush off excess, and then build in layers if you would like a very saturated surface. The blue patina will begin to develop immediately but it will develop over a period of several hours before producing the final result. To use: First clean the metal thoroughly and allow to dry, Then spray, brush or sponge on the solution.